West African heads of state and government plan to meet at a two-day summit beginning Friday in Ivory Coast. Officials of the Economic Community of West African States (ECOWAS), organizers of the conference say the leaders will discuss an economic partnership agreement with the European Union (EU), review of regional security, and the upcoming elections in Guinea Bissau. ECOWAS communications director, Sonny Ugoh says high on the agenda will be the election of a new ECOWAS chairman to take over the leadership of the organization, from Ivory Coast President Alassane Ouattara, whose term expires this year. 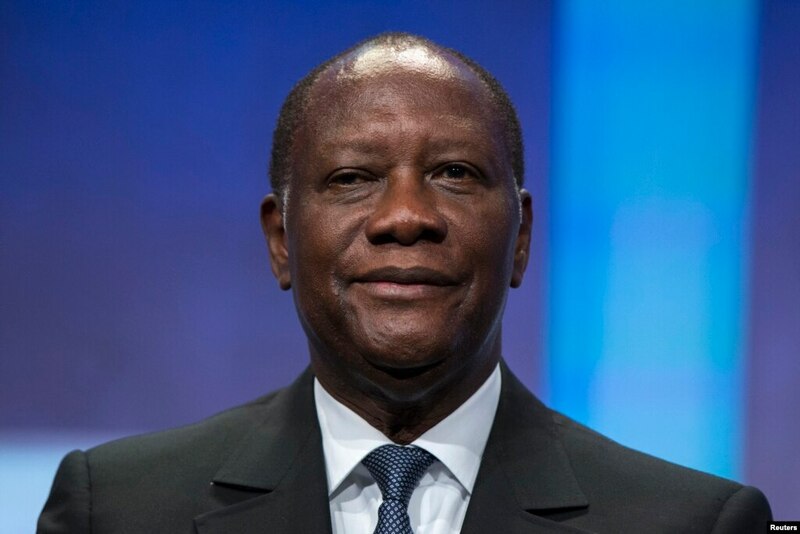 FILE – President of Ivory Coast Alassane Ouattara. “They will be discussing the economic partnership agreement they have been discussing with the EU to create a free trade area for both regions that have been going for 10-12 years. They will also be discussing the issue of maritime security,” said Ugoh. 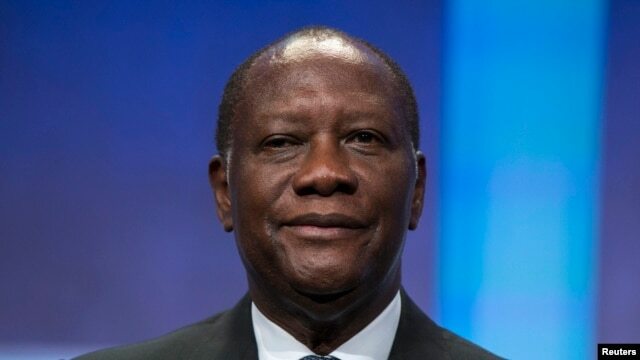 “They will be electing a new chairman to replace President Ouattara who will be handing over after a very fruitful and illustrious and successful leadership of the community,” he said. Some West Africans are expressing concerns about the economic partnership agreement with the EU saying it will be to the region’s disadvantage and unlikely to improve the lives of citizens. Critics say the agreement is unfair because West African states will be exporting inexpensive raw materials and will still have to import expensive goods and services from Europe. Ugoh acknowledged the concerns, and he says West African leaders at the summit will seek to address concerns about the free trade agreement with the EU. “Understandably, because the discussions have been protracted there have been a variety of perspectives. But, I can assure you that negotiations that are going on are on the basis of the assessment of what is best for member states, because member states are active in the process,” said Ugoh. “Whatever decision that will come out of the summit, you can be sure that it will be to the best interest of the region, and member states,” he said. Ugoh says the leaders will also focus on Guinea Bissau’s elections scheduled for next month. ECOWAS member states raised about $20 million dollars to help the country administer its poll. The U.S. and EU have long charged that West African states are being used as transit points to traffic drugs from South America to Europe and beyond. Ugoh says regional leaders are working with their counterparts in West Africa to combat the menace. Posted on 28th March 2014 by newsafrica. This entry was posted in Africa, African Security, Democracy, Economy, ECOWAS and tagged Alassane Ouattara, Economic Community of West African States, Economic partnership agreement, Elections in Guinea-Bissau, European Union, Guinea-Bissau, Ivory Coast, West Africa. Bookmark the permalink.